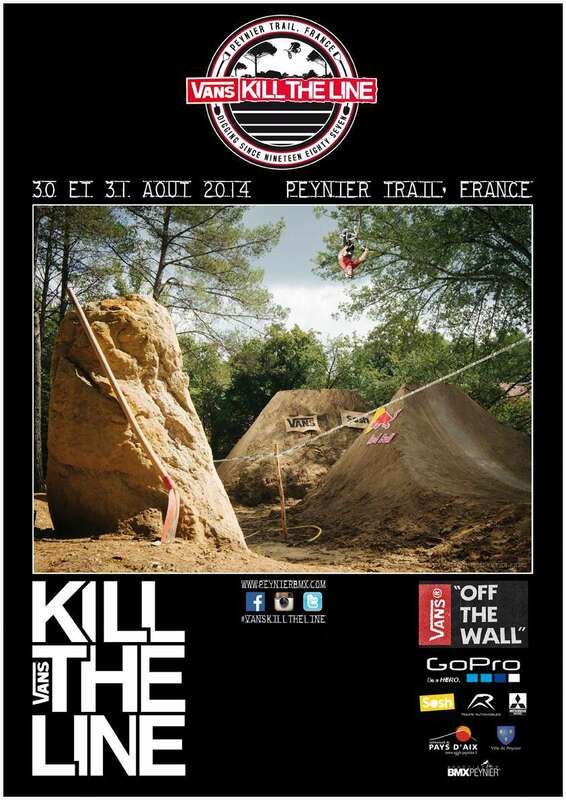 The 30th & 31st of August 2014 Europe’s most infamous BMX trail contest returns to the pinewoods of Peynier in France, for the sixth consecutive time. Once again the legendary trails in the pinewoods will be in perfect shape to welcome the world's best BMX freestyle riders. Even better that big names, like Chris Doyle (USA), Leandro Moreira (BRA), Paul Langlands (NZ), Alex Landeros (USA) and many more already confirmed appearance in the beautiful South of France setting. Besides the most relaxed contest of the season, a "best train" comp will put the forest on fire and attract thousands of spectators. No dig, no ride: The non-invitational event is organized and hosted by the French BMX legends Alex Dropsy, Bibi, Berenger Cordier and their Peynier BMX crew and many volunteers. Stay tuned for more information regarding VANS Kill the Line on Facebook, Twitter and Instagram (@vanskilltheline), on www.vans.com or www.peynierbmx.com. #vanskilltheline it is!